Cruises have undergone an exponential growth in the last few years. More and more tourists choose to spend their holidays on board of one of those cruisers increasing the maritime traffic arriving at harbor. Among their favorite destinations there is the Mediterranean Sea, where Barcelona and Palma de Mallorca’s harbors lead the ranking of passengers welcoming. In the case of Palma de Mallorca, massive arrival of ships and tourists endangers the island’s environmental balance. Authorities are trying to prevent its impact from having a negative effect on life conditions in Mallorca, which is betting on becoming a smart and sustainable tourist destination. 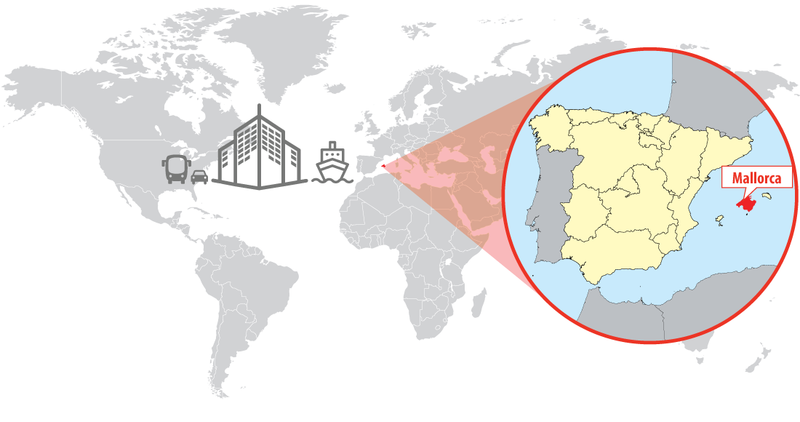 To do so, Mallorcawifi.com has opted for Libelium’s technology in the project developed for the Balearic Harbors Authority (APB in Spanish). 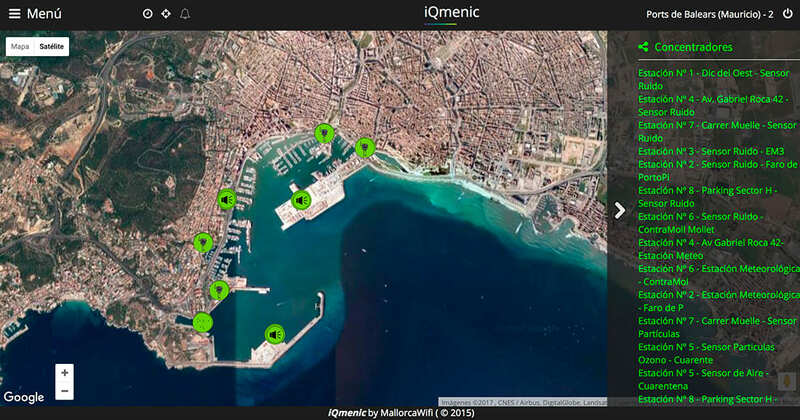 In this way, Mallorcawifi.com has deployed a wireless sensor platform aimed at measuring environmental impact not only of cruisers docking, but also of the whole harbor’s activity. In fact, Mallorcawifi.com has more than 20 years of experience in telecommunications services and WiFi nets deployment. This company built the largest public free WiFi net in Europe following a successful public-private cooperation model. Their aim is to turn touristic destination into smart cities supporting an innovative a sustainable business model. A multidisciplinary research team from University of the Balearic Islands (UIB in Spanish) is also involved in the project. This team will analyze the results obtained by the sensors net in order to correlate air pollution and noise pollution levels with the activity generated in the harbor, and the way it affects the city. Everything is aimed at making decisions on the harbor’s environmental behavior and improving the conditions so that tourists and island inhabitants can enjoy a healthier city. Balearic harbors managed by APB are ranked in the third place in the number of cruise passengers -almost two million- and are the second in the number of registered layovers, led by Italian Civitavecchia harbor. However, not only cruisers dock in Palma de Mallorca’s harbor. In 2016, according to APB 3,031 ships arrived at any of the Balearic harbors. Those ships brought 2.5 million passengers and more than 8.2 million tons of good. According to a study by the Balearic Business Associations Confederation (CAEB in Spanish) and the International University of the Balearic Islands, the economic impact of Balearic harbors is 290 million euros directly on the touristic sector companies and 146 million euros of indirect economic impact. The sector creates 3,000 new employments every year. The return of investment of an IoT project to improve sustainability is really easy to reach because any measure taken to increase tourists’ wellness has a positive effect on destination’s relevance and attracts higher economic power passengers. As a matter of fact, these passengers search for experiences which enable them to mix urban tourism, nature, gastronomy and interaction with the area inhabitants. 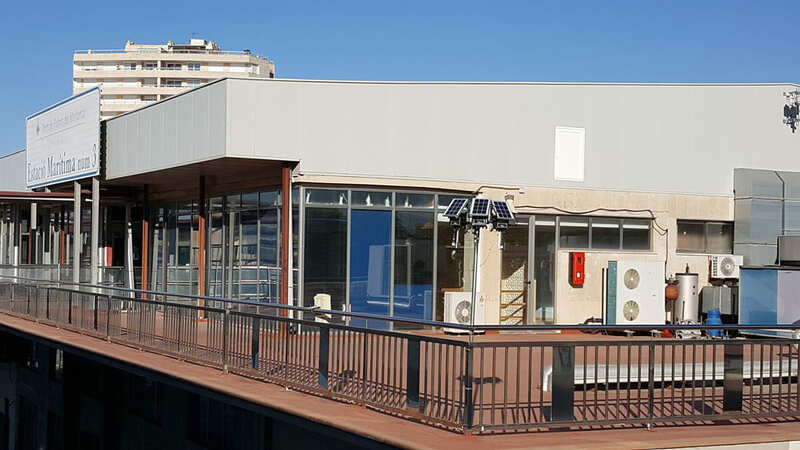 The project deployed in the city of Palma measures two basic environmental parameters which most affect on citizens’ health: air quality and noise. To do so, the project contemplates to place a total of 27 Waspmote Plug & Sense! 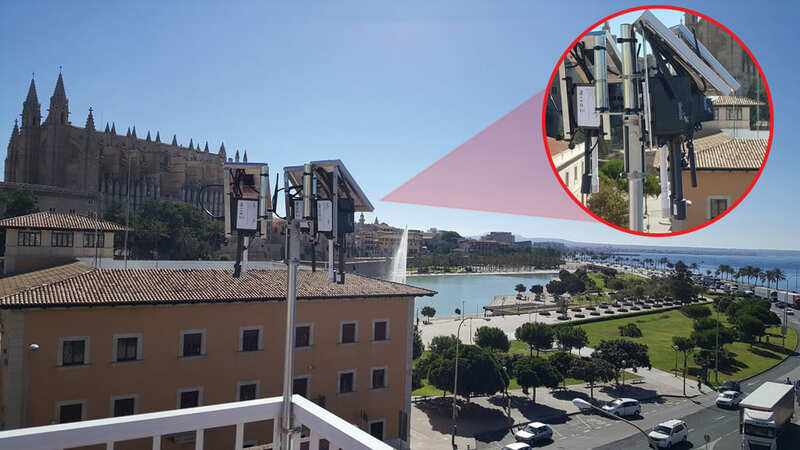 Smart Environment PRO in different locations around Palma’s harbor, and 5 Waspmote Plug & Sense! Smart Cities. Those devices collect the data provided by 81 sensors measuring, among other aspects, carbon dioxide, sulfur dioxide, ozone, noise, temperature, humidity, air pressure, wind and rainfalls. 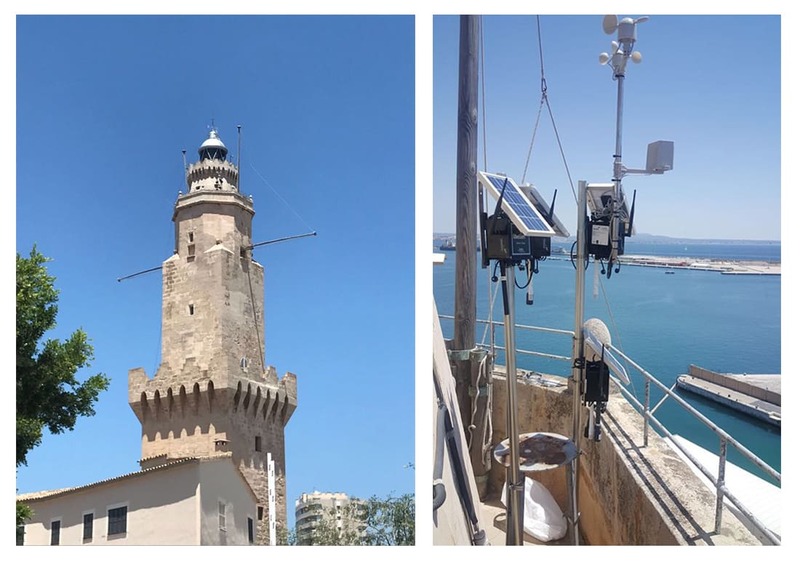 In the first stage of the project eight devices have been placed in the Dique del Oeste, the signals tower and Portopí lighthouse, Maritime Station nr. 3, Can Barbarà, Sa Qarentena park, Mollet opposite pier, commercial piers, and the APB historical venue, next to Palma de Mallorca’s cathedral. APB intends to spread this experience to the rest of Balearic harbors. Sigfox is the protocol which has been used to communicate the data collected by the sensors. Iqmenic, created by Nexmachina, is the wireless platform for management and control of communications among sensors and IP devices to deploy new IoT services. “The wide range of high accuracy sensors, fulfilling all our needs, as well as the ease of their deployment make Libelium’s sensors the perfect solution to this project”, states Mauricio Socias, Mallorcawifi.com’s CEO, who is “completely satisfied” with the work done by Libelium’s staff.